Have you decided that it is time to upgrade your Fort Lauderdale, FL home? One of the simplest and most effective ways to change the appearance of your home is to install new window coverings. Here at Open House Interiors, we offer a variety of products for your home, including shutters, shades, and blinds. We understand that each homeowner has unique preferences and requirements. Instead of offering a one-size-fits-all solution for every family, we customize the order to match your needs. Our team will visit your home, inspect the windows, and provide recommendations about the products to match. 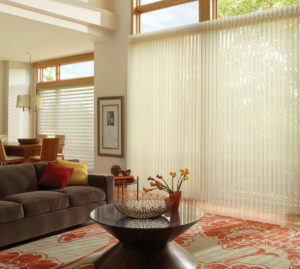 By asking questions and maintaining an open conversation, we will create the perfect window coverings for your family. There is no question that new window coverings will change the appearance of your property. If you have old, broken blinds covering the windows, then you will see that these products are pulling down the curb appeal. On the other hand, new, beautiful shutters or shades will improve overall appearance, both inside and outside. The style is important because it showcases your family and your personality. Choose products that match the other décor elements in each room, to create a theme throughout the home. At the same time, you also need to consider the function of the window coverings. Do you get frustrated every time you open the blinds because you can’t get them to stay open? Wear and tear are normal and can lead to poor function and frustration. Instead of putting up with old window coverings, commit to upgrade these features and simplify your daily lifestyle. Step into our showroom, and you will find many products that can be used to cover your windows. Some people feel overwhelmed as they are looking at options and trying to choose the right colors, shapes, and features. Instead of assuming that you need to make these decisions by yourself, lean on our expertise and understanding for guidance with your project. Blinds: One of the traditional, classic styles of window coverings involve the use of cords and slats. If you are looking for a cost-effective option for your home, then you might consider installing blinds. These products are available with a variety of materials and designs, giving you full control over the appearance and price range for your window coverings. Usually, blinds have horizontal slats, although some designs use vertical slats instead. Shades: The second cost-effective option is to install shades over your windows. This design uses fabric that covers the glass. When the shades are open, the fabric gathers in a pleated pattern, or the fabric wraps around a rod. Consider the way the fabric design and color will influence other interior décor elements in your home. Shutters: A luxury solution is to have shutters installed. Shutters are not only elegant, but they are a timeless style that will look great for many years. Choosing shutters means that you will spend a little more money compared to other types of window coverings. But, the quality and durability are worth the cost. How do you pick a design for your home? Visit our showroom to see real-life examples of the products that we can install. Also, schedule a free estimate with our team. We will come to your home and offer a detailed proposal outlining the products and services that match your requirements. One of the benefits of working with our team here at Open House Interiors is that we offer custom services for every customer. You can hand-pick the colors, materials, features, and sizes for the window coverings. We will measure your windows to ensure that you get the perfect fit for every product that is installed. When the new window coverings are in place, you will see that they improve the exterior appearance of your home. At the same time, you will notice a big difference in the interior appearance as well. Not only will you have more control over the sunlight that comes inside, but you can also add a stylish touch to each room when the windows are closed.